South African actor Armand Aucamp has spent the past 10 years making a name for himself on stage on screen, both locally and abroad. 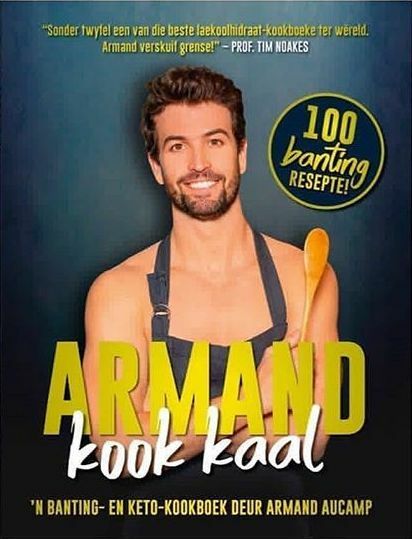 His latest book, Armand Kook Kaal*, is proving exceptionally popular among health conscious South Africans looking for interesting alternative eating plans. It also doesn’t do the ratings any harm that he’s exceptionally easy on the eye. 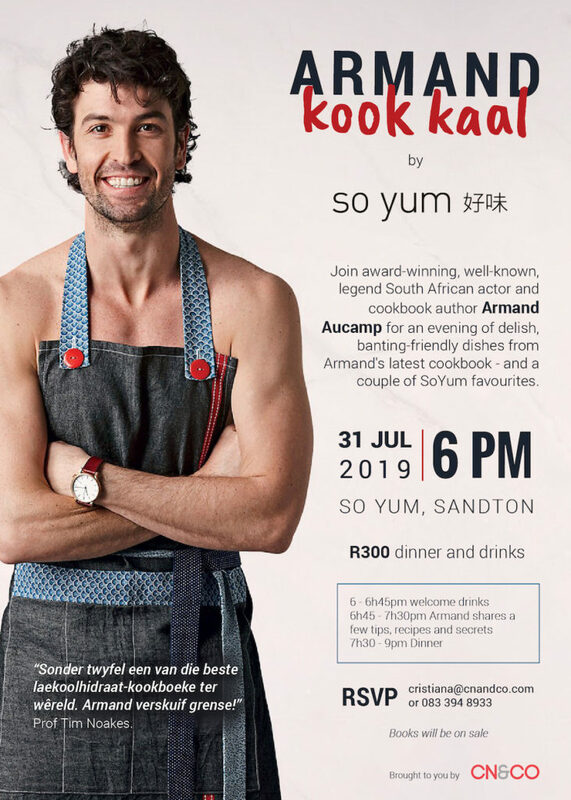 Armand will be hosting dinner and drinks at So Yum Hemelhuijs in Hyde Park, Joburg, on 31 July. It will be very casual, intimate affair, where guests will get the chance to hear how Armand keeps in shape and sample some of the delicious food that he cooks – both at home and on the show. There will also be copies of his recipe book on sale, which he will gladly sign for you. Carel and Armand’s paths soon crossed at Woordfees in Stellenbosch, where the Armand Kook Kaal banting-friendly recipe book was launched. It was here that Carel decided to take the relationship to the next level. The restaurant has a range of delicious, healthy and interesting food on the menu, which will be served along with some of Armand’s recipes.